For most Bostonians, spring signals a few kinds of behaviors: 1) Embracing the end of another harsh winter by getting outside as often as possible to places like the banks of the Charles River or biking the Minuteman Trail; 2) Taking a drive, walk or bike to the North Shore for lobster rolls and to Southie’s Castle Island for hot dogs; 3) Already looking ahead to the baseball playoffs and mostly, bringing a spare outfit everywhere you go because the weather could change any moment. No matter what your plans are, you need to be prepared for the unpredictability of spring in New England. FEMA has rounded up the best tips and strategies to do just that. As part of your preparation for unpredictable weather you will also want to consider buying a portable generator to keep things like your phone, laptop, tablet, TV and/or mini-fridge powered up. NRG Home, an electricity supplier that helps power consumers at home and on the go with a wide array of products and services, including many that are eco-friendly, can help with that. Yeti generators from NRG’s sister company Goal Zero are noiseless and fumeless, which means you can use them indoors and easily move them around your house, so there’s no need to go outside during inclement weather. Of course, after a long harsh winter, you’ll want to spend some time in the great outdoors. So you can enlist Goal Zero’s help for that too. 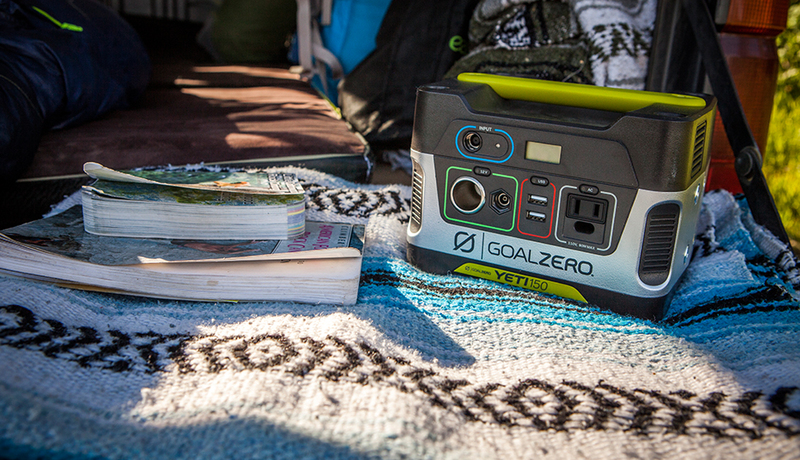 Goal Zero offers a wide variety of portable power products to keep you on the move, instead of tied to an outlet. A Flip 20 charger, for instance, allows you to charge your smartphone from anywhere — no matter if it’s the tranquility of Thoreau’s Walden Pond or the hustle and bustle of Harvard Square. Luckily, NRG can offer you the best of both. For example, when customers sign up for NRG Home’s Renewable Plan, they get a Goal Zero Rock Out 2 Solar Rechargable Speaker, a six-month fixed electric supply price, and 100% wind-generated energy. To learn more about NRG Home and all it offers, please visit nrghomepower.com. *Limited time offer, available in select utilities. Early cancel fee applies to fixed plans. Savings are not guaranteed. A customer may obtain an information disclosure label upon request. See NRG Home plan webpages for full terms and conditions.